Football shirts are an interesting phenomenon, slotting somewhere in between fashion and flags (not alphabetically of course). 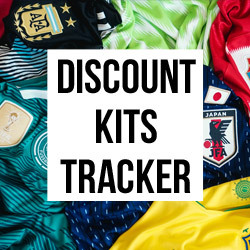 On one hand a shirt needs to look good, in order to represent the history of a team and to appeal to the fans who will be looking to purchase their team’s latest kit. But a shirt also needs to help distinguish a team from the crowd, in a similar way to how a flag can help identify a country (shoutout to vexillology). If you asked an English football fan to name a team with a black and white striped shirt, they’d probably say Newcastle, whereas if you asked an Italian football fan they’d presumably say Juventus. Whilst they don’t share exactly the same shirt design, their black and white kits help set them apart from the rest of their respective league. It’s rare to see a team like Newcastle or Juventus stray from this defined style. However, there is one element which can change yearly to significant effect. We are of course talking about the shirt sponsor. Nowhere is this more obvious than in Italy, a place which has seen its fair share of beautiful combinations. 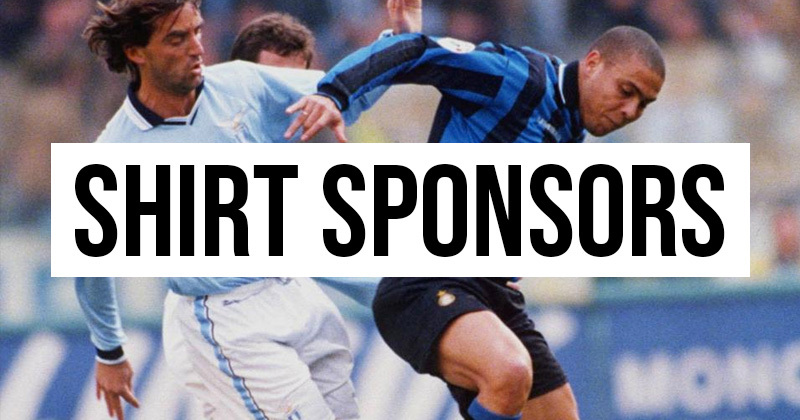 This article, the first in my brand new series Bella Maglietta, discusses the importance of good sponsors and some of the best and worst examples that have defined Italian clubs over the years. The 1996 Juventus away shirt defined an era. It makes sense to start with The Old Lady, and the shirt sponsor used during their last Champions League victory. 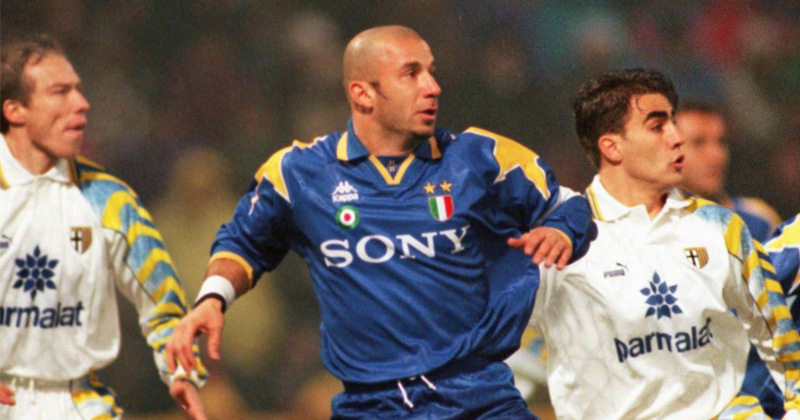 That triumph in 1996 is something juventini (fans of Juventus) hold close to their heart, especially when you consider how close they have come in recent years. Zidane thanking the designers from Sony and Juventus for the good job they did. Back in ‘96 their shirts featured a superb example of simple and clean sponsor design. 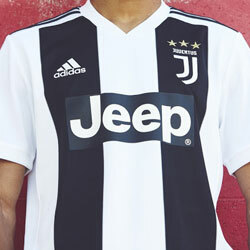 On the home kit, the “SONY” is inoffensive and tastefully breaks the black and white stripes (something that Jeep ‘ought to learn from). And of course, their blue and yellow final-winning shirt was also adorned by SONY, with glorious consequences. For a club that hasn’t exactly struggled for domestic success as of late, the continued popularity of their SONY shirts show just how far they still have to go in order to achieve shirt immortality. The Pirelli logo is as essential to the Inter Milan kit as the black and blue stripes. 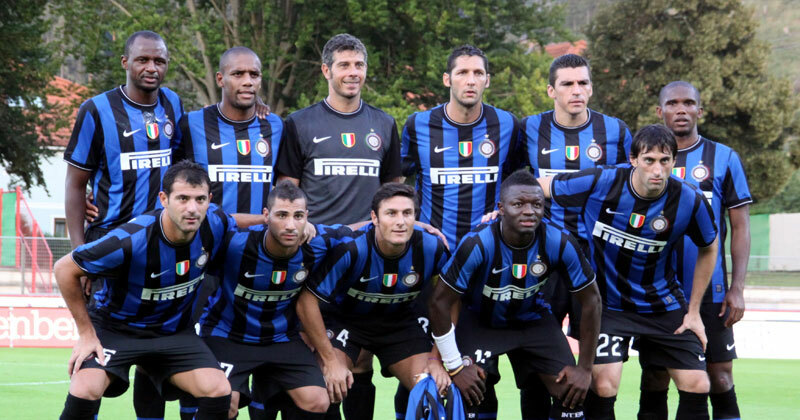 Since 1995, Pirelli has been the kit sponsor to Inter Milan. With its recognisable elongated "P", Pirelli is perfect for the Nerazzurri shirt. 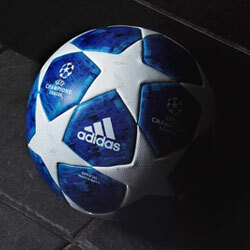 Not only does it boast one of the classiest designs in football, it has remained consistent over decades. From Ronaldo to Adriano to Icardi, Pirelli have been there every step of the way. There’s plenty of history behind the Inter x Pirelli marriage, with Piero Pirelli paying for the construction of one of football’s great temples, the San Siro. Pirelli were also sponsors during the 2010 season, when Inter completed a historic treble which to this day remains the only one in Italian football history. That year will forever hold a special place in the history of Inter, and Pirelli are very much a part of that chapter. 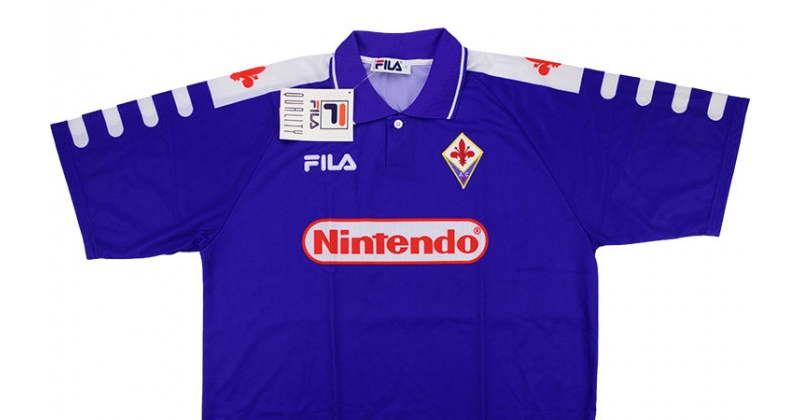 Fiorentina and Nintendo were a shirt match made in heaven. Image from Classic Football Shirts. Ok, I can’t hold it in any longer. We now come to the elephant in this metaphorical room we find ourselves in. There's so much to say about this kit that I almost don’t know where to begin. The Nintendo sponsor is a little strange from a purely objective perspective, a Japanese video games company sponsoring a decent Italian club. And yet, it works. The red from Nintendo matching the red in the fleur-de-lis, the way the white and red logo manages to not ruin the beautiful purple, and the memories it invokes. When I see this shirt, I get a rush of thoughts, feelings and emotions. It makes you think of the 1990’s, playing your SNES or N64 whilst you really should be in bed for school, it makes you nostalgic for your childhood, a time when Nintendo was your god, and it makes you think of the amazing Batistuta running in celebration after scoring yet another banger against his helpless opposition. 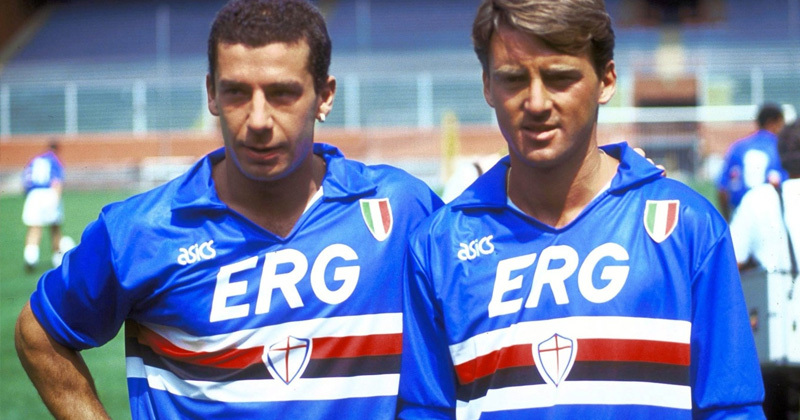 Gianluca Vialli and Roberto Mancini sporting the 1991-92 Sampdoria kit, with the complimentary ERG sponsor. 1990-91 was a special season for Sampdoria. Not only did their win their first (and so far only) scudetto, they did so in one of the most classic kit/sponsor combos in history. With the necessary Sampdoria colours beautifully located across the centre and the ERG sponsor slotted in perfectly with it’s clear, large letters in the same white as the trimming, it was a shirt fitting for such an important season. From 1986 to 1995 ERG (Edoardo Raffinerie Garronea, an Italian energy company) sponsored the Genoese side, with this period providing a good level of success. This is another example of how an already aesthetically pleasing shirt design can be elevated with the right sponsor and a period of prosperity on the pitch. 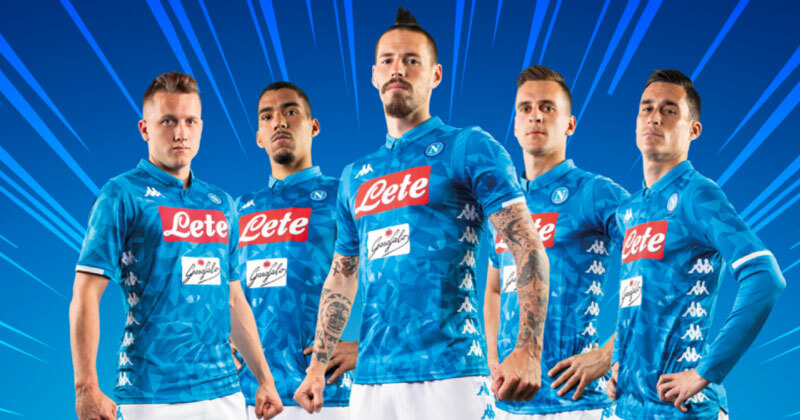 Napoli’s 18/19 kit continues the double front sponsor. 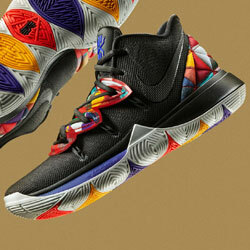 Image from Kappa. Now I feel like we should briefly touch on when sponsors go wrong, and where better to start than Napoli. The southern Italian side has not one, but two front shirt sponsors, and impressively neither of them look nice on the kit. With the square corners of the Lete sponsor making the red background stand out even worse against the blue, and the Garofalo sponsor following a similar trend with a stark white background, the actual design of the shirt stands no chance. Empoli’s 2017/18 efforts featured an impressive 3 sponsors on the front. 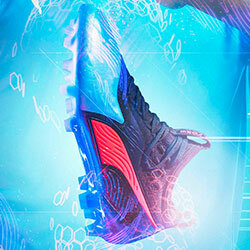 Image from Joma. Ahhhh Empoli. First they replaced a beautiful crest design with a mishmash of letters, and then they stuck 3 terrible sponsors on the front of their shirt. 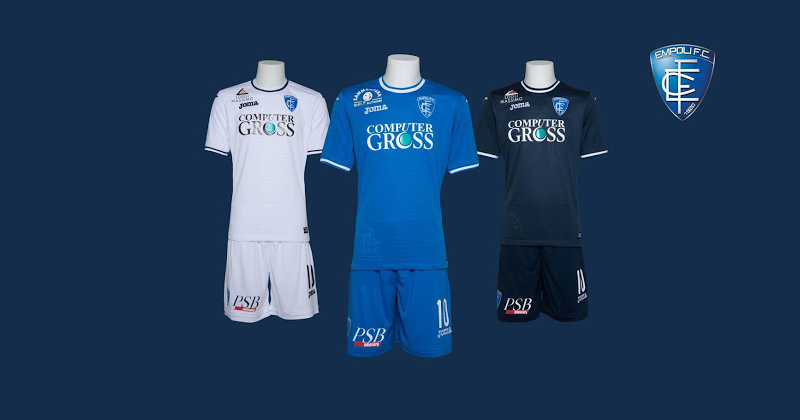 I suppose the upside is that the “Computer Gross” logo was relatively comfortable (although the large “GROSS” in the middle of the shirt isn’t what I’d prefer to wear), but the sponsor shoved above the Joma logo, as well as the different sponsor on the shorts leaves the shirt looking cluttered, and the poor new badge only adds to the mess of the design. I hope you enjoyed the first chapter of Bella Maglietta, and learnt something (even if its how much you disagree with my views on shirt design). Did I miss anything out, or you just want to hurl abuse at me for insulting the new Empoli logo? Contact me on twitter. To find the best deals on Italian football shirts new and old, keep it here at FOOTY.COM.